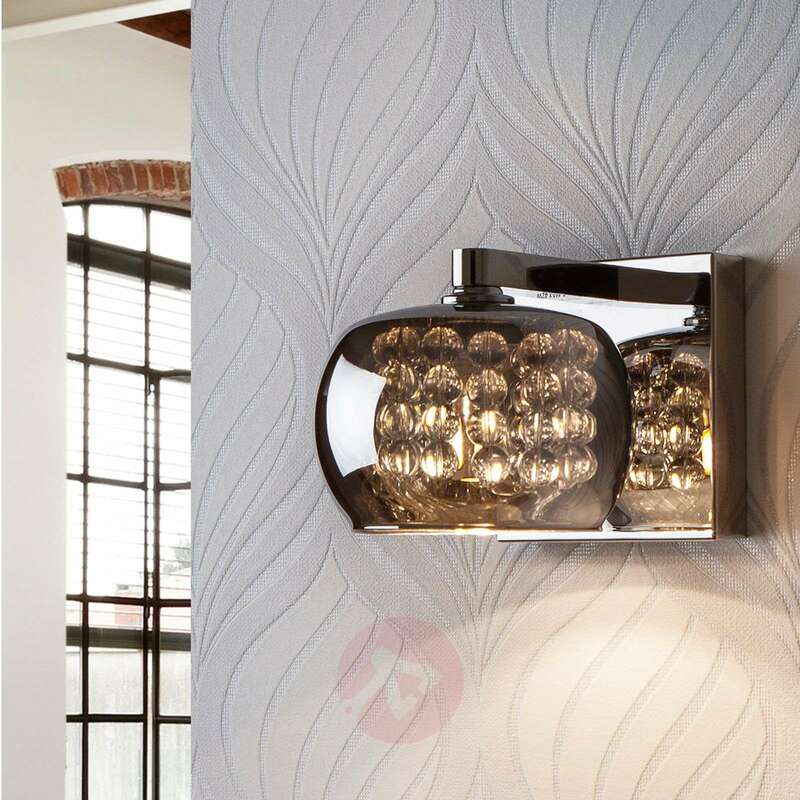 The crystal elements contained within the transparent, brown glass lampshade lend the Arian wall light its unique and decorative appearance. The wall bracket comes in a glossy chrome-plated finish, which reflects the glistening lampshade. 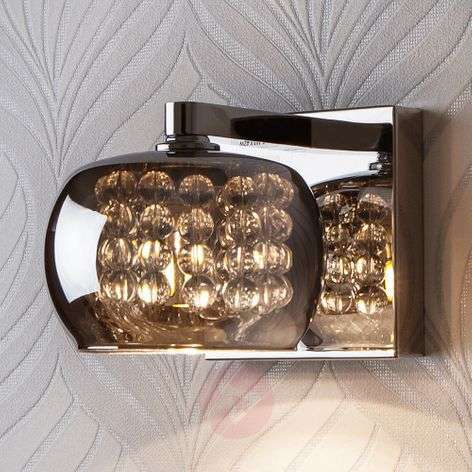 As a result of its special design, the Arian wall light represents decorative additional lighting for living rooms, hallways and even bedrooms.